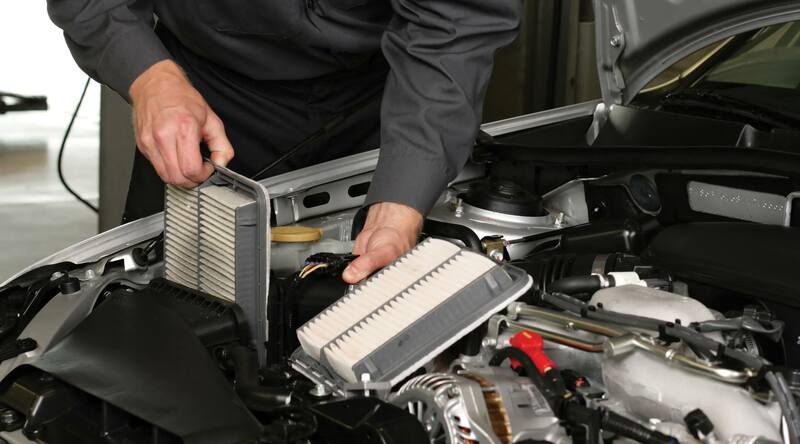 An air filter is an essential element of every automobile, without it the car’s engine won’t function properly. The purpose for which air filter is made is to trap down all sorts of particles like dust, pollen, bugs, larger debris and other particles before they can cause harm to your car engine. If there is no air filter, fungus, bacteria and other particles getting stuck in the air ventilation system causing the engine to emit bad airflow which can cause damage and make the inside of the car to smell. There are several manufacturers of air filters out there each promising optimum solution and performance for your vehicle, but how do you choose the right one? At xlraceparts, we do the review one of the best product in the market putting in some vital consideration like quality, performance, customer ratings, the manufacturer’s history and other factors that can affect purchasing and usage. With over 35 years in the automotive industry, K&N air filters have won a reputation for being the most popular and the best custom air filter and components in the world. The company is well-known for their impact in inventing and innovating of reusable cotton which helped multiply both horsepower and acceleration and offer excellent filtration at the same time. K&N air filters allow increased airflow and the engine performance, it also protects and preserves the engine’s life for a very long period. The air filter is designed to improve your car performance, offer engine protection for cars, trucks, pickups, and SUVs. The filter is usually easy to install and would come with an instruction manual. The K&N VF2000 air filter is designed to last the lifetime of your vehicle which can save you a lot of money in the future and eliminate the waste generated from buying and disposing of many paper air filters. The air filters are designed to add horsepower and acceleration to your car or truck by providing up to 50% more airflow. K&N air filters allow dramatic increases in air flow to the engine, never needs replacing and will protect your engine for the life of your vehicle. 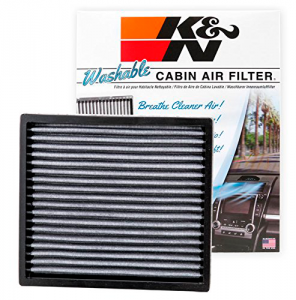 The reusable K&N VF2000 design cleans and freshens the incoming air of your car stock cabin filter. The K&N VF2000 will help catch most mold, mildew, spores, germs, fungus, and bacteria. The air filter is electrostatically charged to hold dust particles and other dirt that might cause damage to our engine. You can simply clean the air filter after it catches dirt and reuse it after cleaning. The K&N VF2000 removes all particles and airborne allergens before it can reach your car ventilation system. The VF2000 helps in reducing odor by keeping mold and bacteria from growing in your car ventilation. This air filter has been designed to fit right into your car providing better performance, durability and long service life. The K&N VF2000 is far the best air filter on the market. It’s highly affordable and stands as a good option for your repair, rebuilds, and maintain your engine needs. The air filter will provide high quality and effectiveness without having a fear of environmental pollutant reaching your engine. With 4.5 customer star rating and a warranty plan for every customer, the air filter will serve and protect your vehicle’s engine for years to come. Thanks for reading, we hope you make a good choice.